I checked out some more local spots today due to the typical weekend weather. Just like clockwork, the weather went downhill just in time for the weekend. (not that we have had much good weather since early February). The weekend curse continues! 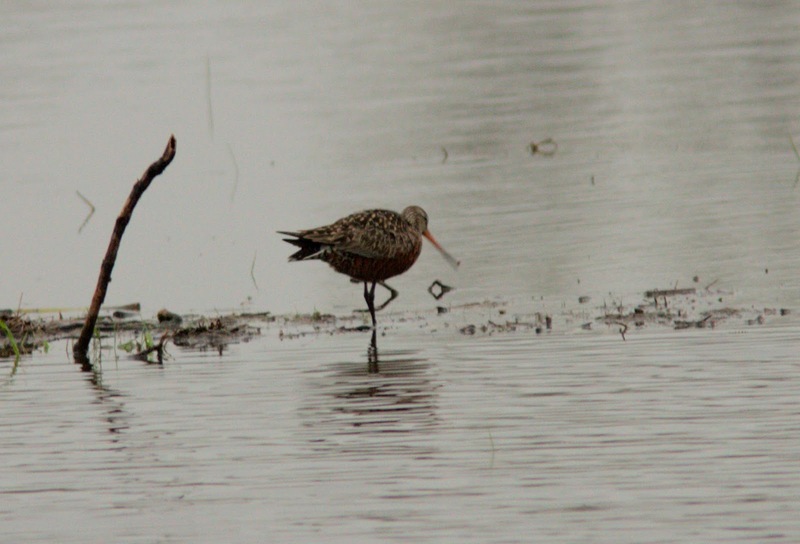 First thing, I found the two Hudsonian Godwits continuing at Stewart Wetland. It was not a surprise since no bird was going anywhere in this crappy weather. I headed up the St. Clair River towards Corunna. (By the way, the King Eider is still around!). 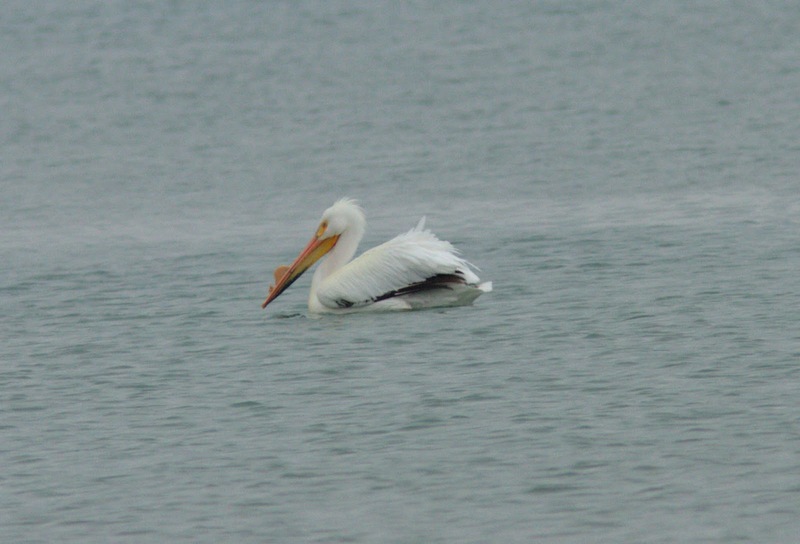 Yesterday, an American White Pelican was reported by M.B. I did not find it at first, so feeling discouraged, I went over to nearby Dow Wetlands. The usual grassland species were there including a single Upland Sandpiper. 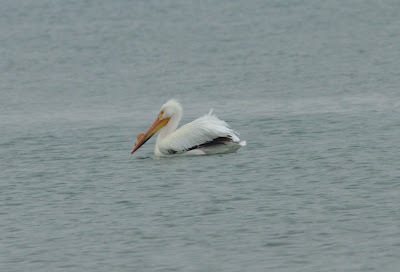 I went back to the river and immediately found the pelican! I do not know where it was hiding, but it was right out front near the mouth of Talfourd Creek. It was a strange sight for the St. Clair River! This species has become more regular in our area in recent years. Often they appear at Kettle Point during migration. Actually there are three there as we speak! I had always missed them, but I do remember seeing one beside the 402 at Mandaumin Road in a borrow pit pond back 13 October 2001. I continued inland, but did not find much in the pouring rain. After a quick lunch, I headed towards Mitchell's Bay area. I did not look for the Yellow-headed Blackbirds since I had already found some earlier in the spring. A lull in the rain allowed me to walk the south shore nature trail. It was still drizzly, so I did not carry the camera. There seems to be a lot of non-breeding Mute Swans around this year. Over 50 have been hanging out in the cove near the trail. Today I spotted one sporting a green neck collar #M075. I have seen a couple of these before, and they are from birds in Michigan. Also in the mix, was a Trumpeter Swan. It was quite obvious due to its size and shape. There are one or two around the area each year. I also checked Balmoral Line beside St. Clair NWA. It had quite a few birds probably taking shelter there due to the terrible weather. 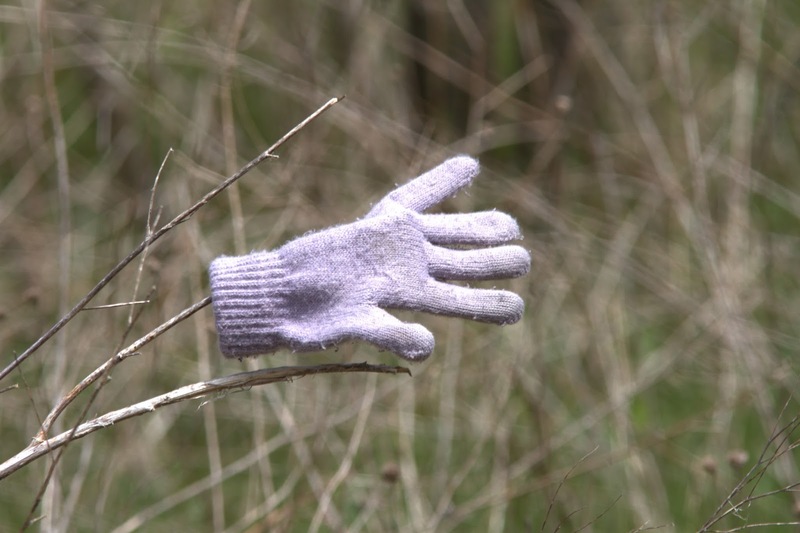 Nothing unusual was spotted though. Hopefully the bulk of birds are yet to come as there have not been many yet! Sunday looks better weatherwise.